It's time to rock! 70s,80s and 90s classic rock. 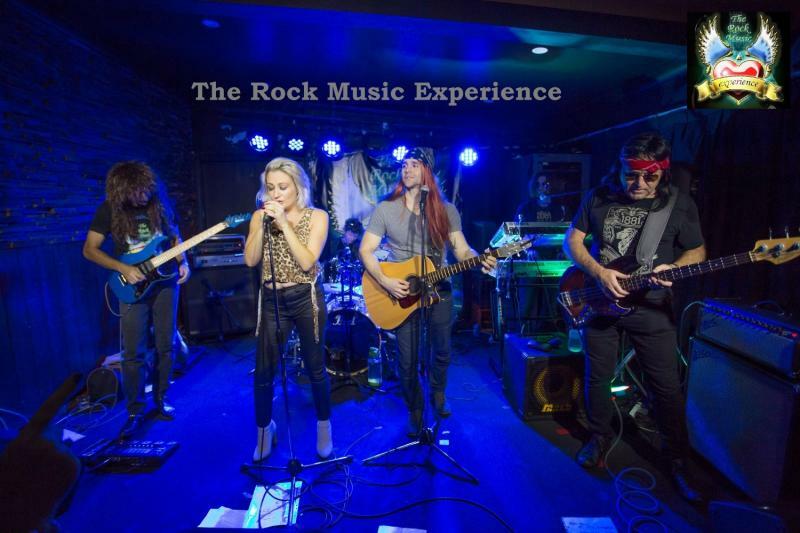 The Rock Music Experience is the ULTIMATE rock concept show. Feel like you've been transported back to the 70s the 80s and the 90s for an awesome hard rock extravaganza! Sing along to your favorite rock song and air guitar to that classic riff. Available for clubs,party's,private functions,corporate shows and weddings. Def Leopard. Let’s get Rocked/Pour some sugar on me. Whitesnake. Here I go again. The Rock Music Experience played at my engagement party at St George Leagues Club on 15/10/2011, and they did such an awesome job entertaining all of my friends and family. The band played and sung really well the whole night and I love how they got into character - dressing like real rock legends. I was impressed that the band and crew spent time preparing the stage, music and lighting before the party began, so that everything ran perfectly. The guys were so nice as well, and were only too happy to chat with us and let us take photos. I like to give credit where credit is due and I highly recommend The Rock Music Experience!